New Blueberry French Toast Breakfast! 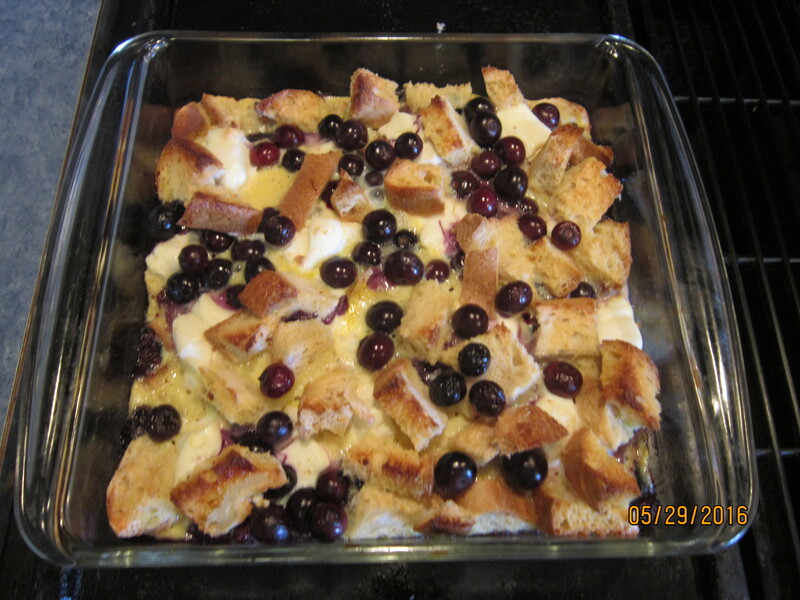 Breakfast this morning was a new recipe–a Blueberry Cream Cheese Baked French Toast. Not only was it delicious, it was also gluten free, and can be prepared lactose free as well. There are no dietary barriers to a great breakfast at the Carriage House Inn!